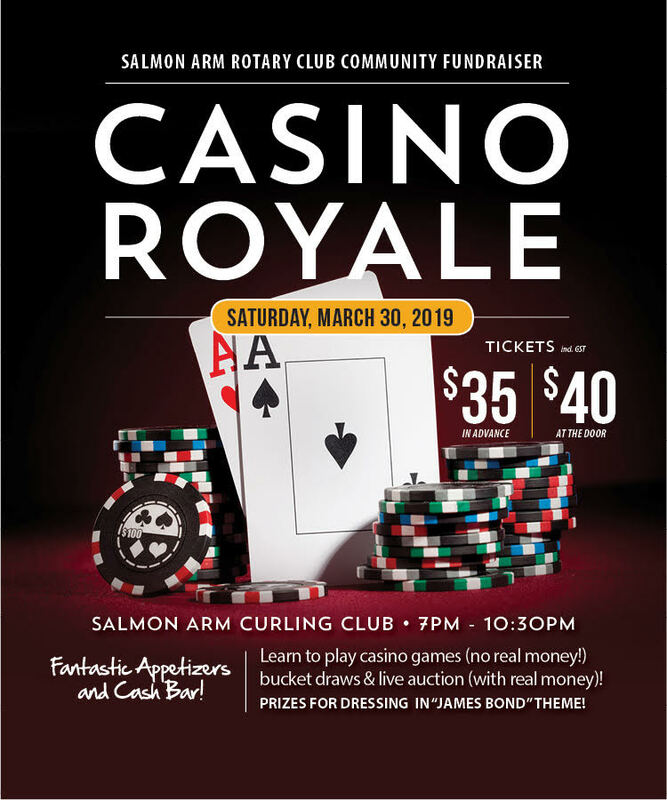 Join us for some fun at our annual Casino Royale. Learn to play casino games, enjoy appetizers, and dress in "James Bond" theme to win a prize. Proceeds will go towards community projects. BUYING ONLINE? Once you get to the PayPal portal, just click on the GREY BUTTON to purchase with debit or credit card if you do not have a PayPal account. Bring confirmation of your receipt to the ONLINE TICKET desk on EVENT NIGHT!